Make sure to connect each user to their institution ID to ensure that their ID is logged when writing an interaction and that the correct solicitor data populates if that user manages a portfolio. Under "User Remote ID," link every user to their institution ID. Click "Link ID" to get started and use either the dropdown of imported solicitor IDs or manually enter a remote ID from your system. 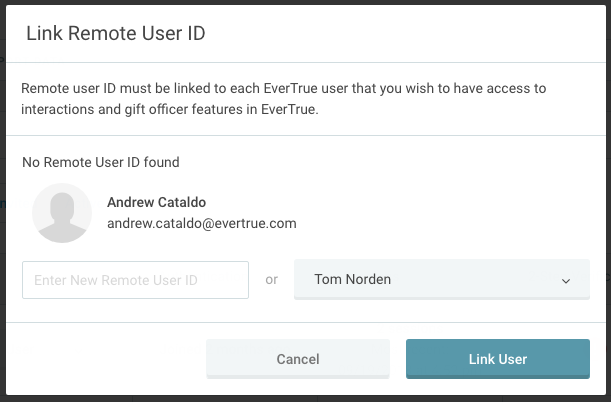 Once linked, the ID will appear in the "User Remote ID" column for reference.